Anders is broadly experienced in bringing data-driven innovation and revenue growth to clients across a range of industries. As CEO of V12 Data, Anders led the transformation of the company into an omnichannel data powerhouse and the company has since experienced double-digit growth. Previously, Anders was Executive Vice President of MRM Worldwide, serving as Eastern Region head and Chief Growth Officer. While at MRM, Anders drove the company’s evolution by bringing data-driven innovation to clients such as the US Army, MasterCard and Kohl’s. 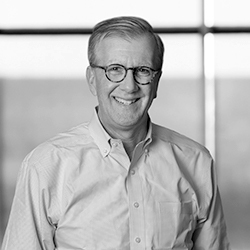 Anders has also served as a Senior Vice President at Digitas, building CRM infrastructure and marketing success for the firm’s largest clients, including GM and AT&T Wireless.